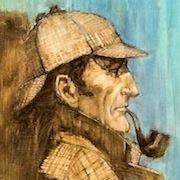 The Book Bond: Which MOONRAKER? 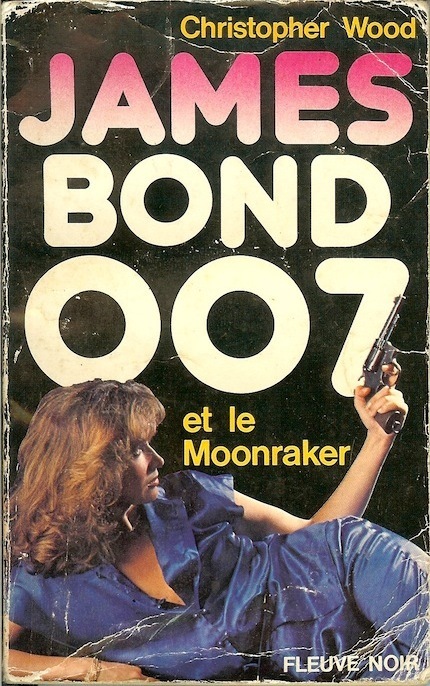 Here's a badly battered French paperback edition of Christopher Wood's novelization of the 1979 James Bond film, Moonraker. What I like about this unglamorous edition is it doesn't at all tip one off to the fact that it's a novelization. The cover looks like any "girl and gun" series art that you'd find on the original Fleming paperbacks at the time. Even inside there's no reference to the film. In 1979 you could easily buy this book thinking it was the original novel. Maybe that was the idea. Kind of fun. Christopher Wood's two novelizations were recently released as eBooks. 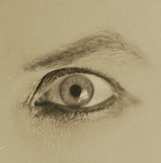 Click here for more info and cover art. 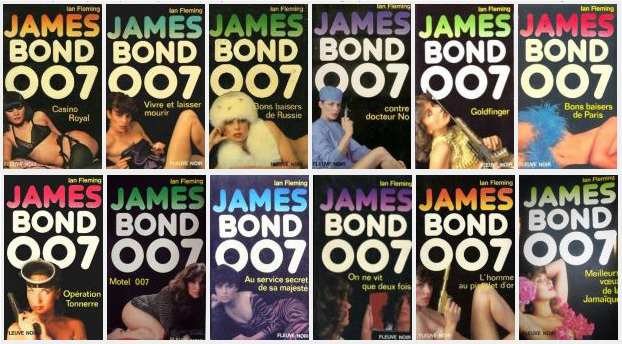 UPDATE: Thanks to our friend Kevin Collette, you can see HERE that Fleuve Noir did publish the Fleming books with this series art, except for Fleming's Moonraker. This was published as stand-in for that title, so one would definitely be fooled into buying this as part of the "original" series. Wild. So this was part of a series with the Flemings? Well that would definitely make it confusing. Did they do Fleming's Moonraker as well? I had a bathroom leak recently and both of my Woods (in the cupboard underneath) were ruined as a result, along with a Colonel Sun and that great wing mirror bullet hole License Renewed cover. Quite traumatic! I have the Goldfinger from that series so I can confirm that was one the six. My mistake , actually Fleuve Noir DID publish all 13 novels - and started with C.Wood's Moonraker novelization ! 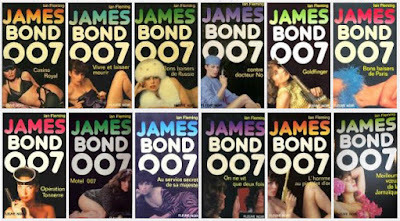 Looks like they published all the book except for Fleming's original Moonraker. So one would definitely be fooled into buying this as part of the "original" series. Wild. Thanks Kevin. So no "Diamonds are Forever"?